Combining foreign advanced technology, we developed a new magnetic strip extruder for producing strip used as refrigerator door-seal. The machine is newly designed, easy to maintain, it has suitable structure, work reliable. The production is automatic, productivity, and high quality, especially, the new machine is equipped with double roll machine and magnetizing system. By this machine, 10,000m2 magnetic strip (section 9x2mm2) can be produced per day. 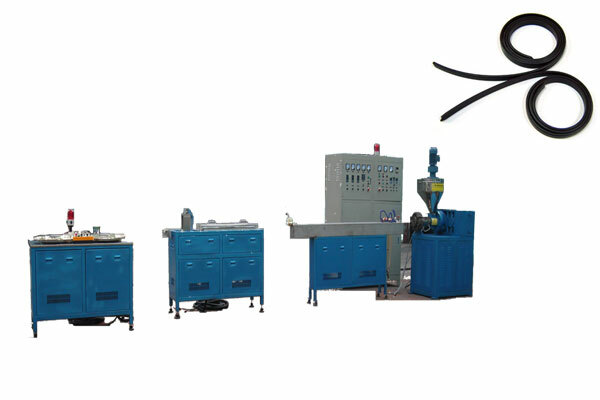 The production process is entirely automatic, extruding, magnetizing and rolling can be done at the same time. The machine is suitable for new built, expanding and reforming factories.